Well, it's been a while coming but the new design for our website is now live. Forgive us a little boasting but we think it looks pretty good. Everything that was there before is still there and only a few things have moved around. Some of the main navigation menu labels have changed, but hopefully we haven't caused anybody trouble in getting around the new site. However, we know that not everybody likes change, so why did we do it? The big driver for the redesign has been the increase in traffic to our site from smartphones, tablets and other mobile devices. When we last produced a major redesign for the site, during the latter half of 2010, web enabled mobile phones were still on the horizon. The iPhone 3G was released in Australia in 2009 but it the number people using them were relatively small. We did see some visit to our site from mobile devices but the portion was tiny. That has certainly changed over the last couple of years with new iPhone versions, Android phones lowering the cost, the introduction of the iPad & Android tablets and now Windows 8 devices. It's almost impossible to buy a mobile phone that isn't a web enabled smartphone in Australia today. 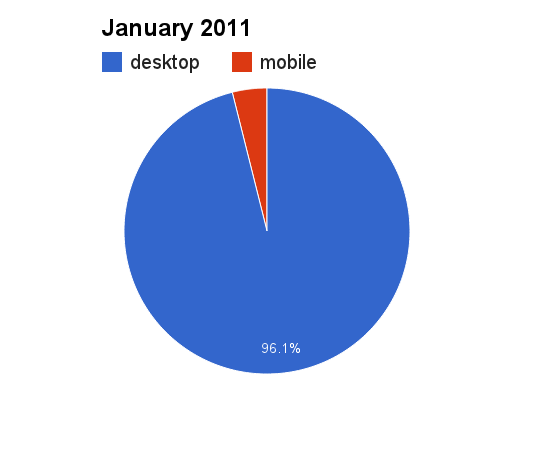 And we have seen a corresponding increase in traffic from mobile devices. Take a look at the charts below. They illustrate the increase in traffic from mobile devices over the last few years. January 2013: Mobile traffic is rising. It's up to 19% of total visits. 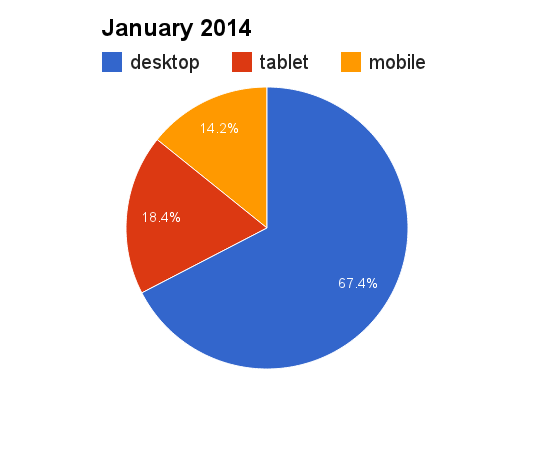 Currently, 1 out of every 3 visits to the site now comes from a mobile phone or tablet. We have seen this increase coming and we knew we had to update the website to accommodate the changes. Although you could use our old site on a mobile phone screen by pinching and zooming your way around it was not a great experience for visitors. In the intervening years best practices in web design have evolved to embrace the increase in web access from mobile devices. Techniques have developed to improve that way website display on different size screens (called responsive web design) and it is now common to design websites for 'mobile first'. Our new site is designed for an optimised layout on all devices. On small screens the content is laid out in a single column. As the screen gets wider the layout switches to a 4 column grid. We are trying to provide a good experience for visitors regardless of which device they use to visit the site. 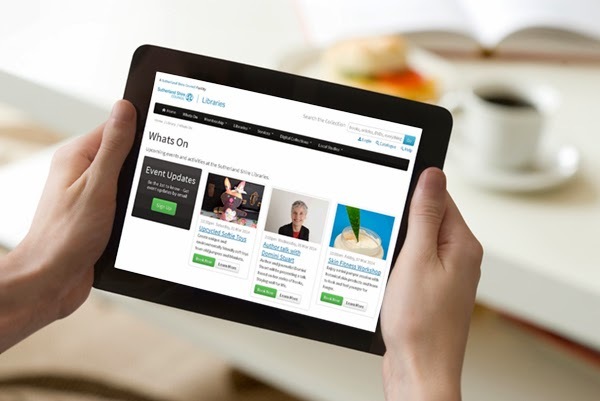 Over the last year we have also upgraded our library catalogue with a mobile optimised view. We have also seen some of the other companies that we partner with improve their websites to account for increasing mobile traffic, the most obvious being Overdrive audiobooks and ebooks. Other digital services we partner with like Zinio digital magazines and Freegal Music offer platform specific mobile apps that make using those services on mobile devices easier. If you happen to visit our website on a mobile device we hope you appreciate the improved design. Either way, take a look at the new site and let us know what you think, especially if you find any issues as there's bound to be a bug or two.